Also to anybody that has this blog on there "followers"
and also remove the old Tilda & Co/ Sarah Kay Challenges Logo and replace with our new fabby Magnolia Vs Stampavie Logo! This Blog will stay open for a while but then will be closed down for viewing so it is important you change over with us! My blog is http://darla-thelongandshortofit.blogspot.com I have no entry as I am not a member yet. Will I be now?? I would like to be invited as well. How do we get invited to view this challenge blog? Please, could I have permission to view your blog? how do I become invited to the new site? I love to work with Magnolia-stamps. I would very much like to be able to be part of your new blog/challenge. Thank you. Hi there, I would like to be invited to see the blog. i would like to be invited to,my blog is http://astridcreative.blogspot.com. Why is this blog open to invited readers only. Very strange! Do you really have to be invited? thank you! I got my Christmas stamps and can't wait to play! would you mind to invite me? I have no entry to the new blog yet. Thanks! We will post a NEW CHALLENGE EVERY SUNDAY. We accept all craft Related projects! That has been coloured by yourself and not reproduced from anybody else's work. Simply post your work on your blog with a link to our challenge Leave us a comment on here, Simply Click ("Entrys & Comments") with a link to your work. 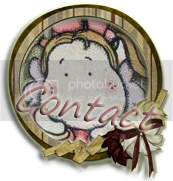 If you do not have a Blog then you can Email me your work by clicking on the "contact" icon. I will then gladly upload your work onto the blog for you, But Please this is strictly for people who do not have a blog! When there are Prizes on Offer On the Blog Challenges We only allow "New" work designed for Tilda & Co Challenges, and it cannot be combined with any other challenges unless that challenge is a sketch challenge. We feel this to be the only fair way to everybody who takes part in the challenges & of course to our Super Sponsors who donate the amazing Prizes! Also if your blog is dedicated to your Shop/Website in anyway where you sell goods, and You are NOT a sponsor on here! Then please have respect for our sponsors and do not leave comments on this blog, Of course if its a total Separate Blog then by all means do so, But we have to respect & Protect the Sponsors Wishes. We Hope you enjoy the Blog & have Fun! Are you able to provide a Prize for one of our Challenges in return for a Permanent Banner to your Shop/Blog? Prizes that you Sponsor do not have to be Magnolia Related. Click the above logo for FREE BLOG FACELIFTS!! !